These three countries use the ecosystem services approach very differently. This became apparent when Coreplan hosted an expert panel at the Mare Conference held in Amsterdam on 5-7 July 2017. 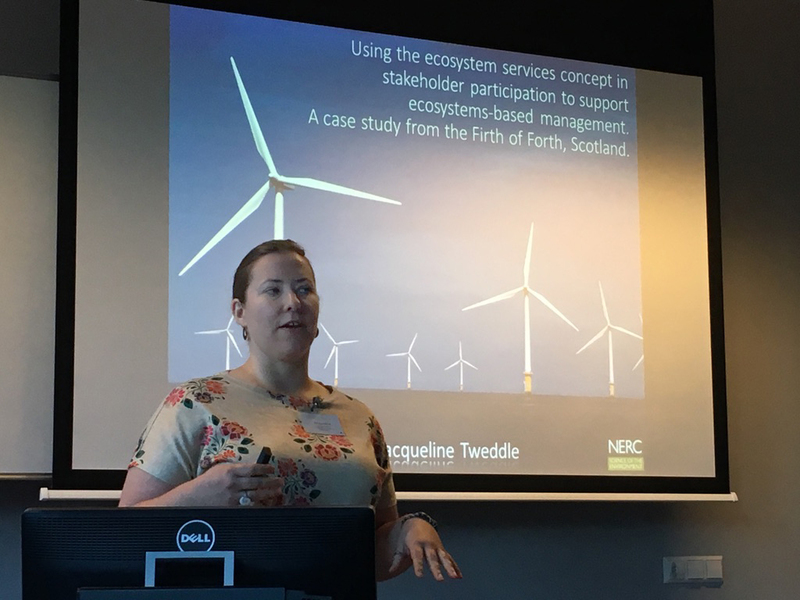 In connection with the Mare Conference in Amsterdam in July, Coreplan convened a research panel on using an ecosystem services perspective in coastal zone management. Scientists from Chile, the UK and Norway came together to discuss using an ecosystem services approach in coastal zone management. The presentations showed that the conditions for using an ecosystem services perspective are very different in the three countries. While little coastal zone management is performed in Chile, this is well integrated and regulated in the UK and Norway. Chile has therefore carried out ecosystem services surveys of large coastal areas. This has proved a useful tool for surveying use and value. However, the surveys cover just a small range of services, such as fishing and tourism, which represent different values to people who live, and make use of the resources, in an area. Meanwhile, since the surveying is not legally binding it is of little help in resolving user conflicts in coastal zones. Scotland and Wales are also working on surveying and valuing ecosystem services in coastal zones via various research projects that focus on, among other things, wide-ranging stakeholder involvement. Various strategy documents and regulations have also been drawn up in which the ecosystem services perspective plays a part. However, what effect integrating an ecosystem services perspective into the management will have in practice remains to be seen. Norway also has ambitions when it comes to using such a perspective, but it is unclear how this can be done within current planning practices. In Coreplan we are investigating both how local identification and evaluation of ecosystem services in the coastal zone can contribute to better coastal zone planning and how suited the Norwegian framework for coastal zone planning are to an ecosystem services approach. Current laws, procedures and the existing knowledge platform do not facilitate an ecosystem services approach to coastal zone planning. The insights from the experiences in Chile and the UK provide good input for this work. A challenge in all of these examples relate to the valuation process and how value can be assessed differently by different user groups. They also include how one can integrate local and scientific knowledge, as well as the lack of “compatibility” with current laws and management practices. The panel was chaired by Ingrid Kvalvik, Bente Sundsvold and Ann-Magnhild Solås, and about 20 researchers took part.